A Trained designer will help you create the perfect lighting options and provide an onsite quote. Installation is fast and easy. Lights and materials will be provided. Light replacements if the bulbs stop working. 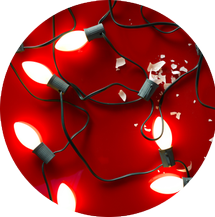 We will return after the holiday season to remove the lights for you. 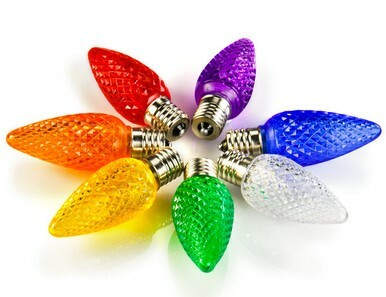 Great for those who don’t want the hassle of storing, untangling and testing Christmas lights, or having to purchase additional replacement lighting each year. This is the perfect solution for those who wish to change their display each year without having to purchase additional lighting. For one affordable price this package includes the following. 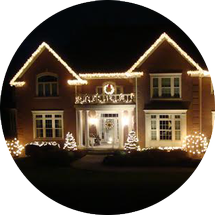 S&K Holiday Lighting is Western New York's holiday lighting specialist since 2009. We provide professional lighting displays using commercial grade equipment only available to those within the lighting industry. Get ready for the Holiday Season without the fuss. We can custom design any display for you. We will design, install and remove your lighting display around your budget and schedule. Rental installation includes timers, extension cords, maintenance throughout the season, and removal at the end of the season. 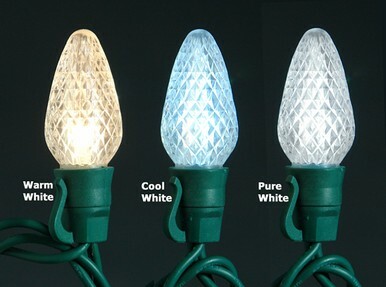 Depending on your lighting desires prices will vary. Stay safe this winter and let us deal with the harsh weather of Buffalo and WNY. 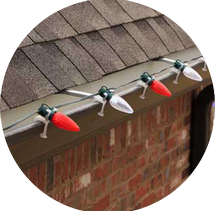 Don't risk a fall from a slippery roof, or ladder. Stay warm and cozy and let us do it all. 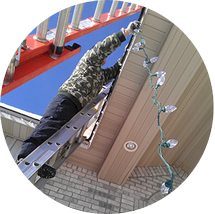 All lighting installation staff are specially trained for all weather conditions. Outdoor decorations- We can install outdoor decor to spice up your display.